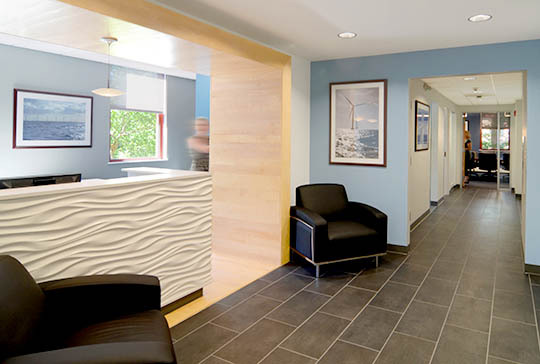 KITE designed this interior fit-out for Deepwater Wind as they expand their offices in Providence. The plan was organized to allow views of the surrounding park and cityscape from all parts of the offices while providing private offices around the entire perimeter. 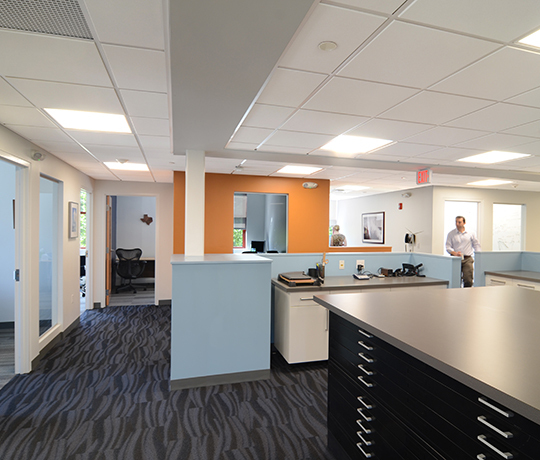 The large central workspace has ample space to work on large-format drawings and documents. Multiple conference rooms allow collaborative team work. 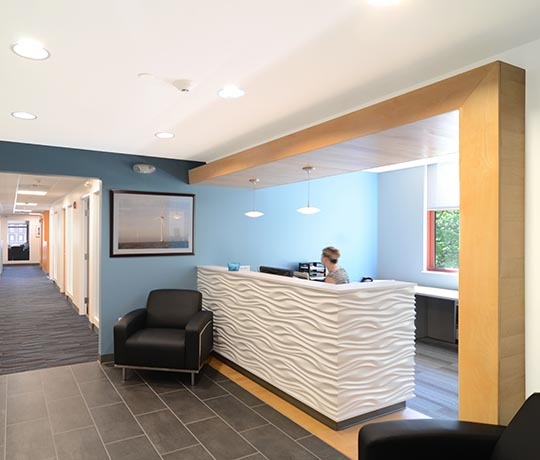 The color palette and finishes were chosen to evoke a fresh environment inspired by the ocean, and include a series of accent walls with deepening tones of blue.